I am often asked to give advice on investments and investing, and of course I DO NOT GIVE ADVICE! I do want to help, though, so I show what I do, and sometimes, how I do it. FAIR WARNING: This post is link-heavy, with an embedded video, and some graphics. This post is all about that bass, no treble how I find investments. First, a little (very little) history about my stock screening. I used to use sites like finviz.com, barchart.com, dividend.com, yahoo.com, google.com, etc. to find stocks that I thought would serve me well in my quest for alpha, or risk-adjusted return. At first, this did not work out so well. I’m still learning, and working on it, but I’m fairly comfortable with what I have right now. And so, I’d like to share a little about what my current methodology is and how it is working out. For a quick and dirty synopsis, refer to a couple of my past posts about screening and portfolio review. I’d like to add that while I presently have no preferred shares because I recently sold all of them, there are some truly wonderful resources for anyone interested in preferred shares. One is quantumonline.com, and the other 2 are actually Google spreadsheets linked in my “blogroll” on the right side of my blog. There’s also a screener on preferredstockchannel.com, but I don’t use that so much anymore. Now, as for common stocks like REITs and BDCs, there are a couple of what I’d consider worthy resources. For REITs you could do a simple search and get some results like this. I prefer to follow people who invest in REITs on StockTwits.com, SeekingAlpha.com, and twitter.com. I find that people who have some “skin in the game” and aren’t trying to sell you a service are the best resources. The same is true for BDCs, but there is one resource I’d like to focus on, and that’s the Business Development Company (BDC) Universe. This is another FREE resource, and they have several others listed on their Investor Resources page. NOTE: The link on that page to Business Development Company (BDC) Universe is bdcuniverse.net, but I am unable to connect to it so I use the link above. So, using that site, I can sort by several key factors to help me decide where to invest, such as; Market Price, NAV, Discount/Premium, Market Yield (my mantra: if they don’t pay, they don’t stay! ), NAV & Price Total Return (YTD, 1yr, 3yr), Expense Ratio, etc. This site is a veritable treasure trove of information! So, once I have selected some issues that warrant some further due diligence, I add them to my “Watch List” and look for a good entry. At least, that’s the way it’s supposed to happen! There are sites that let you perform a kind of automated due diligence, like; Louis Navellier’s Portfolio Grader, finviz.com, barchart.com, etc. Another site that I like but requires you to register (like seeking alpha) but is still FREE (to a point that I have yet to exceed) is chartmill.com. Great site, and gives trading setups, also. I’m not a “trader”, per se, as I am looking for monthly and/or quarterly income. Hey, I’m retired, it’s what I do! But, I still like it and use it. One thing I do like to do is compare any buy candidates with some current holdings on a 200 day PerfChart on stockcharts.com, which allows me to compare up to 10 different issues on Total Return, which is KEY (to me!). Hi, PandA Trader, Every time I see the panda, I say to myself, I need to talk to that guy. 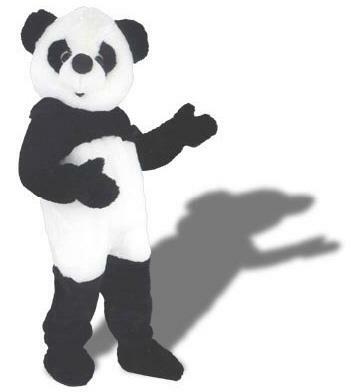 Once I owned a very large stuffed Panda & the kids loved it, They would wrestle with it for hours, Then they grew up & I sold it at a garage sale, & now I wish I didn’t sell it, … It’s the same as trading, I’ve sold a lot of good stocks over the years that I wish I would have kept, & how about you, do you have regrets & how do you cope with some of the ones you wish you have never bought, what is your incite ? I purchased AGNC a year ago & I reinvest the dividends though cope . then I SELL & DO SOME DAY TRADING & PURCHASE AGNC AGAIN BEFORE THE EX-DIVIDEND DATE & DO THIS OVER & OVER. SOMETIMES GOOD & SOMETIMES BAD RESULTS, hoping FOR ALL GOOD RESULTS. SO HOW DOES THIS SOUND TO YOU ? I’m NOT ASKING FOR ADVICE, JUST YOUR free OPENION ???? Sounds like a little over-trading. What are your trade fees? I have plenty of regrets, George. I just sent you a FR on FB. I want to show you my pictures when I was Santa at the office. When I go to the mall, and I sit on a bench or chair to rest, kids start walking up to me and holding my hand and sitting next to me and talking to me. Mind you, my hair isn’t white (yet! ), and I have no beard or red suit. It’s a little scary with things being the way they are now, but I love children. Now, I’ve never heard of reinvesting through cope. What’s that? Most of my dividends go to cash in the accounts, and I buy a little bit of whatever I want each month. Some gets reinvested through DRIP. Day trading has never been good to me. Most of my dividend income nowadays is tax-free. I like that. Thanks for contacting me. If you accept my friend request on facebook I’ll show you my Santa pictures!